The Honda X-Blade is the newest addition to Honda's street motorcycle segment. The bike gets LED headlamp, LED taillamp and link-type gear shifter. Honda Motorcycle and Scooter India (HMSI) today commenced the dispatches for its all-new 160 cc naked sporty motorcycle, Honda X-Blade. Priced at ₹ 78,500 (ex-showroom, Delhi), the bike was introduced at Auto Expo, while bookings for the bike commenced a week later on February 14, 2018. The new Honda X-Blade shares its underpinning with the Honda CB Hornet 160R and comes with a sharper design language and an all-LED headlamp cluster. The Honda X-Blade 160 is almost ₹ 4,000 cheaper than the base model of the CB Hornet 160R. Talking about the company's new model, Yadvinder Singh Guleria, Senior Vice President - Sales and Marketing, Honda Motorcycle and Scooter India said, "The aggressive and futuristic new X-Blade has been designed for millennials and Gen-Z. As promised, we have started the dispatches of X-Blade in March 2018. 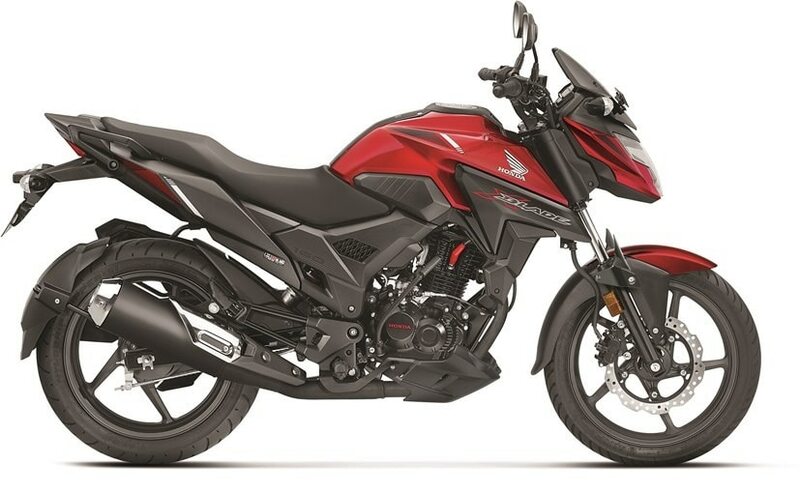 Armed with more style, Honda's tried and tested HET 160cc engine, and superior technology, X-Blade creates a new benchmark with several segment-first features in its class and that too at an attractive price of ₹ 78,500 (ex-showroom, Delhi)." Visually, the new Honda X-Blade comes with a sporty character thanks to the sharply styled fuel tank that comes with chiselled lines and matte black tank extensions with the X-Blade badging. 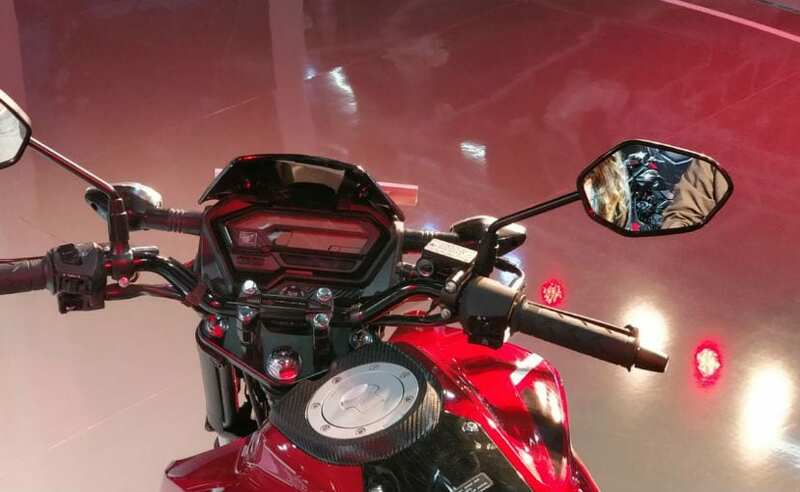 The bike comes with a reworked tail section compared to the Hornet, and to complement the LED headlamps, which gets 9 LED position lamps, the rear is also equipped with LED taillights, offering an overall edgy look. The bike also comes with sharply designed grab rails, a rear tyre hugger, dual outlet muffler with a chrome tip and the matte black side panels all add to the sporty look of the bike. The X-Blade will be available in 5 colours - Matte Marvel Blue Metallic / Matte Frozen Silver Metallic / Pearl Spartan Red / Pearl Igneous Black and Matte Marshal Green Metallic. On the equipment front, the Honda X-Blade comes with a link-type gear shifter, which Honda says helps in precise and smooth shifts. The rear wheels are shod with wide 130 mm tyre and the front wheel gets 100 mm rubber. The bike comes with telescopic forks up front and monoshock suspension at the back. The bike gets an all-digital instrument cluster which shows service due indicator, digital clock and a gear position indicator. The stylish X-Blade also focuses on comfort and safety with a long seat, seal chain and hazard switch. Powering the new Honda X-Blade is the company's tried and tested 162.71 cc HET engine which churns out a maximum of 13.93 bhp at 8,500 rpm and develops a peak torque of 13.9 Nm at 6,000 rpm. The engine comes mated to a 5-speed gearbox and Honda says that the engine has been specifically designed to deliver good low and mid-range performance. 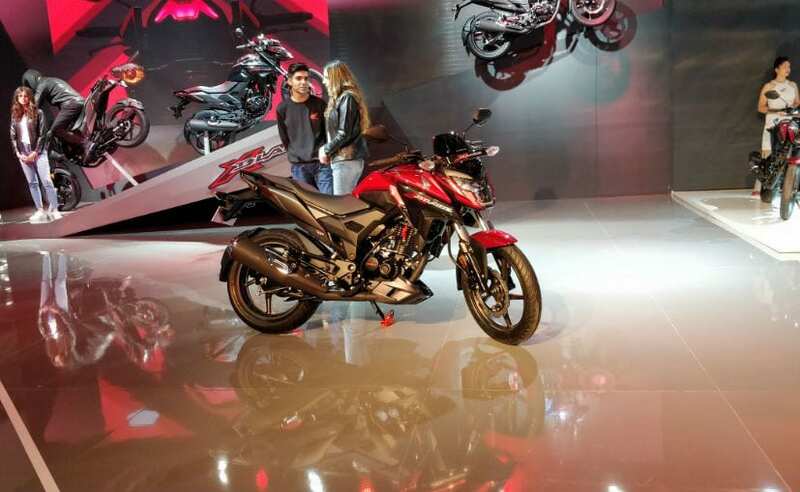 The new motorcycle will be competing against the likes of the Suzuki Gixxer and the Bajaj Pulsar NS 160 in the segment.